It’s hard to spend $12 or $15 on a meal every day, but it can be even harder to prep and pack your lunches. Why not make meal prep painless with these great products? Taking some of your Sunday downtime to prep the meals for your work week is a great way to save money and eat healthier. But cooking a week’s worth of food can be a bit complicated, and you can end up spending hours of your day cooking and cleaning. That’s why it’s important to arm yourself with products that make meal prep Sunday as easy and painless as possible. If you want to be able to cook foods in bulk with minimal hassle, then you’ll need to invest in some bulk cooking, measuring, and storage solutions. A lot of these products will pay for themselves, and they can be used for any cooking projects, not just meal prep Sunday. If you want to make your meal prep Sunday as quick and painless as possible, then you’ll need to cook your food in bulk. Luckily, there are a lot of products that can make bulk cooking easy and delicious. Remember, an expensive meal prep product will almost certainly pay for itself after a week or two of use. Bulk cooking isn’t just easy, it’s also a great way to make healthy, flavorful food. You don’t need to use a lot of cooking oils, and you generally don’t have to worry about any meats or veggies coming out undercooked. Crock pots and Instant Pots are also pretty easy to clean up. Since you’re cooking everything in a single container, you don’t end up with a stack of dirty pots and pans. You also have time to clean up your utensils and cutting boards while your food is cooking, which is a major plus. 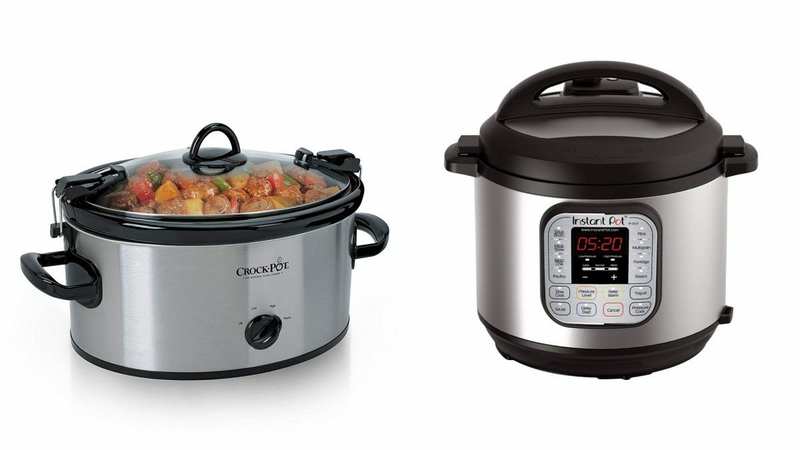 Crock Pot Cook and Carry ($23): Crock pots are inexpensive, easy, and durable. A quick Google search will help you find thousands of easy crock pot recipients. If you want to have a couple of different meals during your work week, you can buy two crock pots and spend your Sunday cooking two separate meals. Instant Pot Pressure Cooker ($100): We’ve spent a lot of time hyping up the Instant Pot, and for good reason. It’s a cheap, popular pressure cooker that can be used to make just about everything. Instant pots are great for cooking healthy meals quickly, or for slow cooking a flavorful mess. Anova Sous Vide Precision Cooker ($100): We love the Anova precision cooker. It’s an affordable way to cook big meals with a ton of flavor, and it’s relatively easy to use. Plus, you can operate the Anova with your cellphone, so you don’t have to hover around your kitchen on meal prep Sunday. If you’re going to cook food in bulk, then you’ll want to make sure that your prep work is done right. But you don’t need to eyeball ingredients or spend an hour chopping onions, there are a lot of products that can make prep easy. Measuring tools, like kitchen scales and cups, are an easy way to make sure that you’ve got the perfect balance of ingredients for your meal. After all, you don’t want your chicken soup to be overwhelmed by carrots, or under-seasoned. Food processors and slicers can reduce the time that you spend chopping up ingredients, and they can make cleanup extra easy. Imagine prepping healthy meals for your work week, without ever using a cutting board! Accmor 11 Piece Measuring Set ($15): A detailed, stainless measuring set is a must-have for every kitchen. 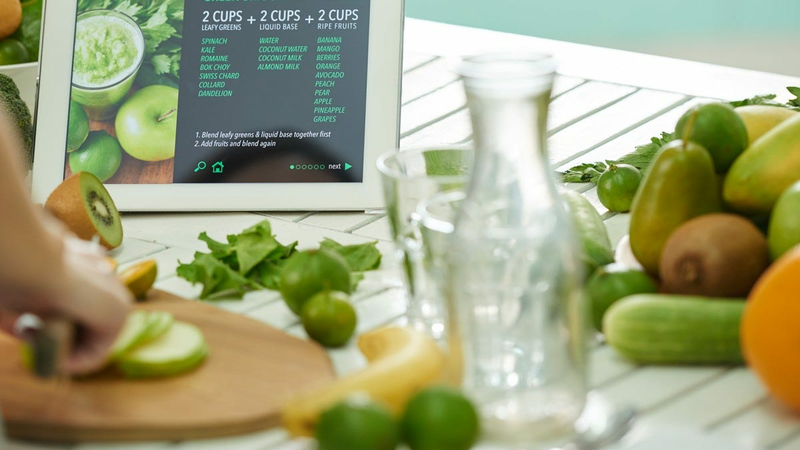 You can measure veggies, spices, and liquids, without any guesswork. Ozeri Digital Kitchen and Food Scale ($11): You may find recipes that call for weighted-measurements of ingredients, like a half pound of onions or a pound of chicken. This makes it easier to follow recipes, because all veggies and meats come in a variety of sizes. 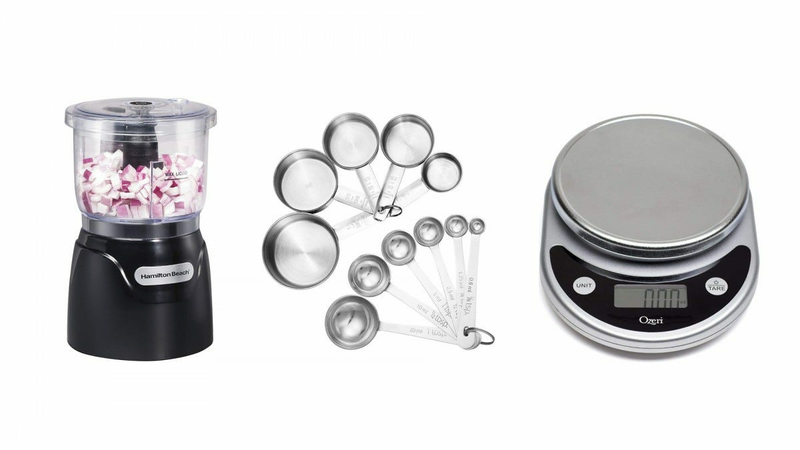 Hamilton Beach Mini Food Processor ($25): You can save a lot of prep time by using a cheap food processor. They also make cleanup a lot easier, because they reduce the number of cutting surface that you use, and they can keep messy ingredients off of your counter. Spiralizer Veggie Slicer ($30): Spiralizers have become a popular solution for gluten-free pasta, but they’re good for just about any meal. They’re especially good for Asian-styled dishes, or potatoes. 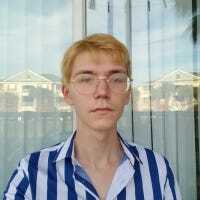 Where are you going to keep all of the food that you’re making? Storing your food in dedicated containers is a great way to keep your fridge organized, and to make lunch-packing extra easy. There are a lot of ways to store your food, but you’ll generally want to keep things in containers that are durable and easy to clean. Some of these containers may seem like a bit of an investment, but they’ll last for years, and they should pay for themselves after a week or two. Hefty Freezer Bags ($14): Freezer bags are great for keeping meat, rice, beans, and other foods that you want to last for more than a couple of days. They’re also great for storing any leftover ingredients, so you don’t waste any of the food that you’ve bought. 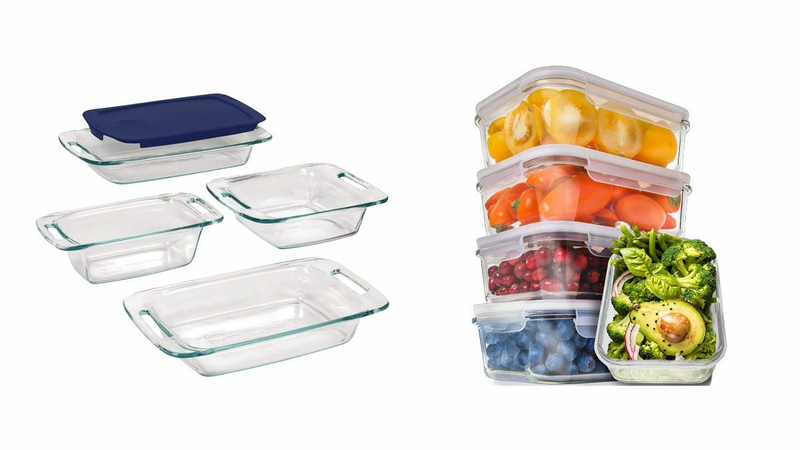 Prep Naturals Glass Meal Prep Containers ($25): – These oven-safe containers are useful for any meals that you have to bake, and they won’t leak any plastic flavor into your food. Plus, they’re all the same size, so they make it easy to keep your fridge organized. Pyrex Bakeware Set ($30): – These containers are great for any food that needs to go straight from the oven into the fridge (or vice-versa). They’re also useful for taking a lot of food on the go, or for scooping meals into to-go containers. What’s the point in meal prep Sunday if you can’t take your food to work on Monday? You’ll need some to-go containers if you want to take your delicious food to work. There are a lot of different ways to bring your food out of the house. You could use a lunch bag, a thermos, or a bento box. Generally, you’ll want to keep things insulated, and a container that’s easy to clean will pay off in the long run. If you have a microwave at work, then a microwavable container may make life a whole lot easier. 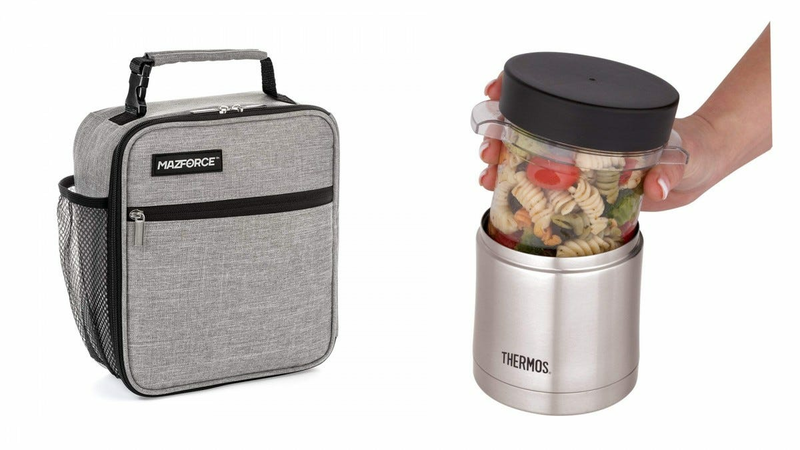 If you plan on bringing a single-dish meal to work every day, then you probably don’t need a compartmented container like a lunch bag or bento box. But if you want to bring a few separate dishes or some snacks, then you’ll want the option to keep them apart. Freshware Compartmented Containers ($16): These containers are a bit cheap, but they’re microwavable and compartmented. You don’t have to worry about losing or breaking these containers, yet they’re great for keeping your different foods isolated from one another. OSPARD Stackable Bento Lunch Box ($18): This insulated bento box is cute and easy to clean. It’s great for keeping food separate, and it even has a container specifically designed for soup. Sadly, none of these compartments are microwavable, but the insulation should keep your food hot (or cool) until your lunch break. MAZFORCE Insulated Lunch Bag ($14): Traditional lunch bags are versatile, easy to carry, and relatively cheap. And this particular bag is insulated, yet you can still microwave whatever’s inside if you pack a small microwavable container. This is a great option for people that store their prepped meals in small containers because you can throw the container in your lunch bag before leaving the house. Thermos 12 oz Microwavable Food Jar ($25): Insulated food jars are a great way to keep your food hot or cold throughout the day, and this particular food jar has an inner container that can be microwaved in a pinch. This is a great way to bring single-dish lunches to work, especially liquidy meals like soup. Zojirushi Bento Lunch Jar ($36): – This lunch jar is insulated, vacuum-sealed, and compartmented. It’s a premium to-go container that offers a lot of flexibility. It’s easy to clean, and a great way to bring a multi-dish meal on the go, without the need to reheat anything. Armed with all these tools to help prep, bulk cook, store, and enjoy your food, you’ll find it easy-peasy to load up on good meals. Skipping the long line at the deli every lunch hour and fast food every night on the way home will be easier than ever.